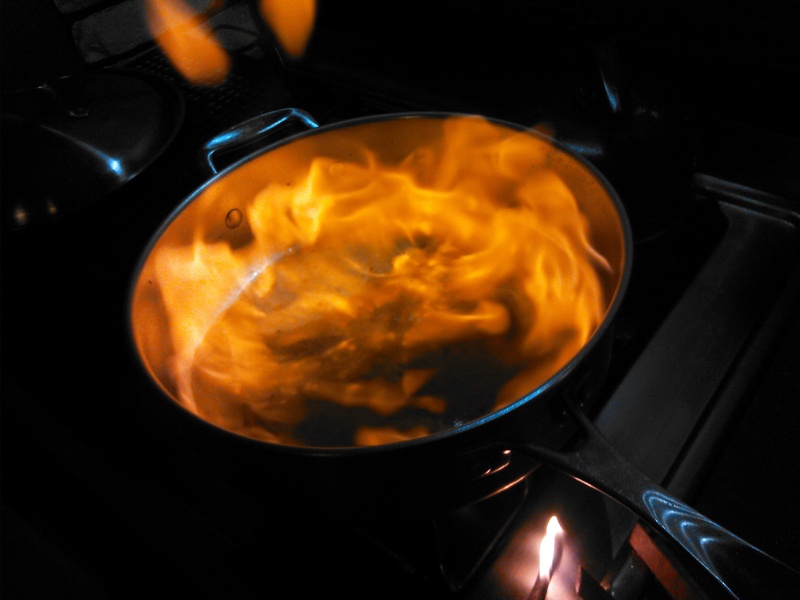 Cooking a new recipe… flambe included! I’ve been unemployed for almost 10 days now. It’s not unpleasant, to be honest… I’m sleeping the correct number of hours (more, if we’re being honest) and I’m actually having breakfast regularly. But I was feeling a bit bummed… So I decided to pull out an old recipe that I’d found online (original link below) and try out my own version of it. It’s basically steak in a heavy cream sauce… but since I get to light the sauce on fire that makes is 110% better. Clearly. This much heavy cream… not much, but enough. 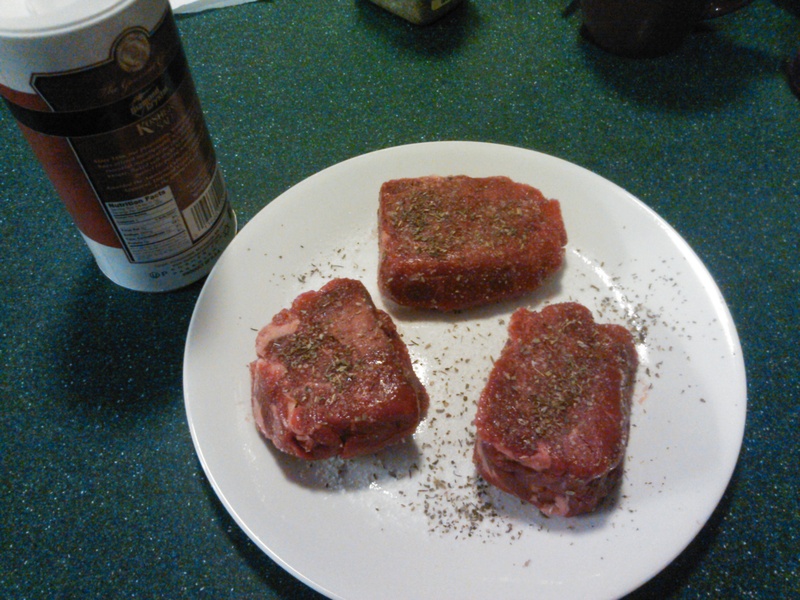 Step 1: Season the steaks – the original recipe calls for salt and pepper… lots of pepper. I don’t like pepper though, so I went with kosher salt and the Italian seasonings – let it sit for 30min or so, for everything to settle into where it should be. Take this time to get the rolls in the oven, and to pour yourself a glass of scotch. Because steak & scotch should never be apart. 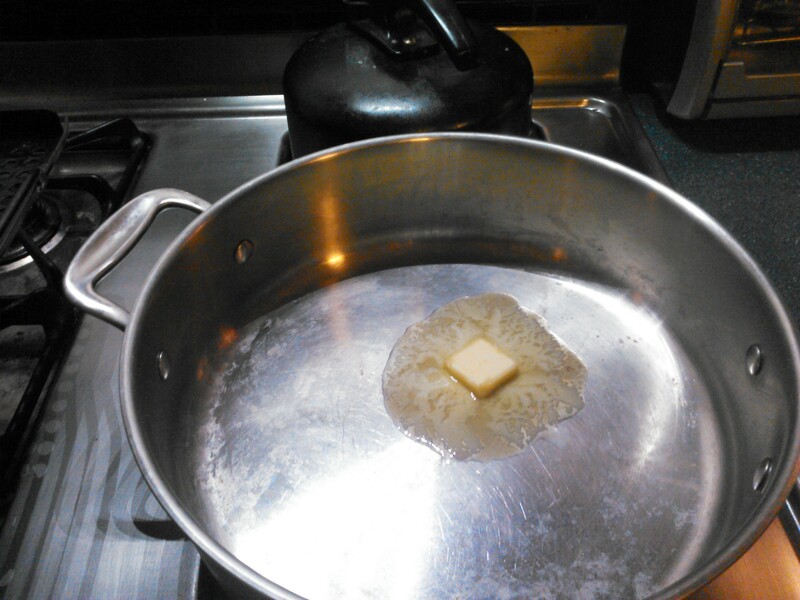 Step 2: Prep the pan – Simple and easy, melt the butter into the pan, pour some oil onto it, and bring it up to heat… medium/low, depending on how thick the cut of steak is. NOTE: do not use a non-stick pan. You want the flambe step (step 4) to caramelize everything, and a non-stick won’t work as well. Step 3: cook that steak – Yep. Cook it. Preeeeeettttyyyy simple. I did 3min per side; you want to undercook it here, but not too much. Don’t worry, you’ll finish it up later. Step 4: FIRE! – Pull the steaks out when they’re rare, and pour the brandy in. Then? Light it on fire! I did three runs – pour 1/3 in, light it, let it go out. Repeat. That seemed to work very well, and tasted better than a time (later on) that I tried flaming it all in one go. 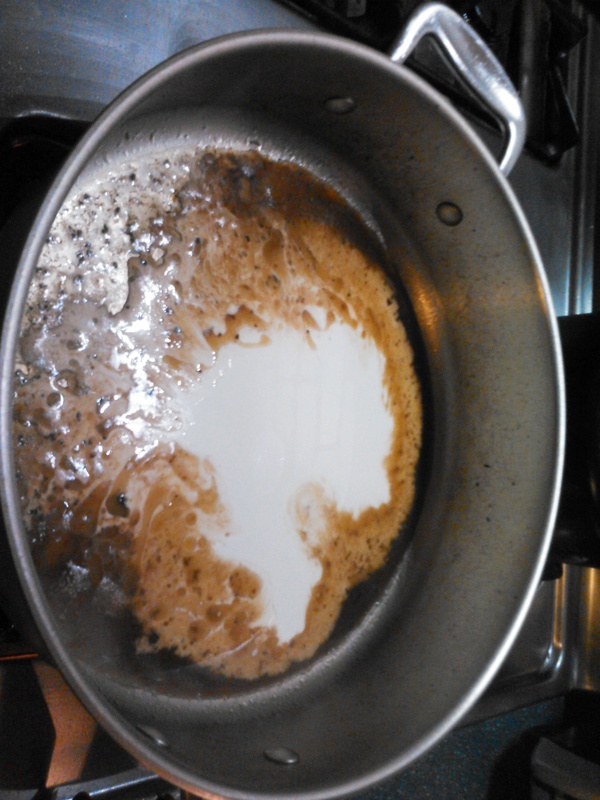 Step 5: mix the sauce – Once the fire’s completely died out, add in the heavy cream and constantly whisk the sauce. NEVER let it sit still. Pour in enough that you can still see the brandy/oil/butter mix around the edges, but don’t skimp too much either. It should be at a light boil; keep stirring ’till it starts to thicken up. 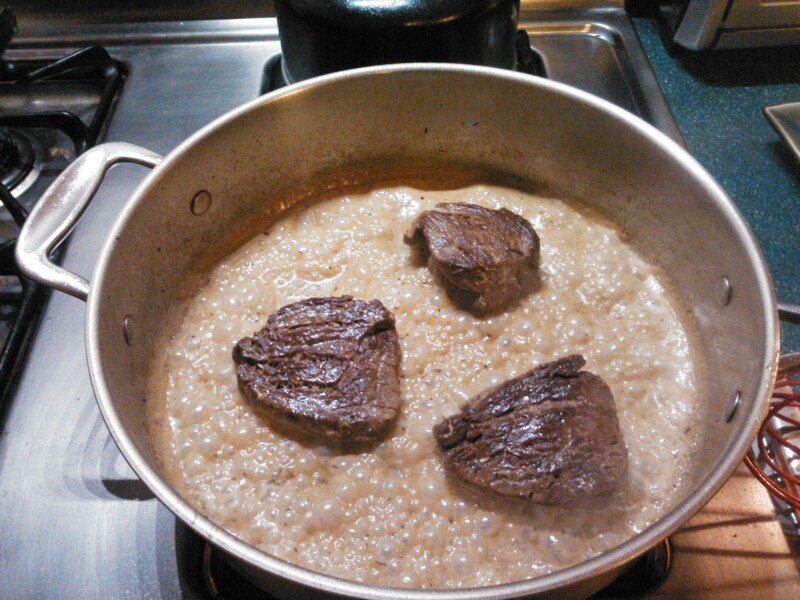 Step 6: finish the steaks – bathe the steaks in the sauce… but don’t stop stirring it! I actually stirred the sauce with the steaks, using a pair of tongs… and damn did it work well. say 1.5min per side, roughly. Just enough to finish the steaks, and fill them up with deliciousness. 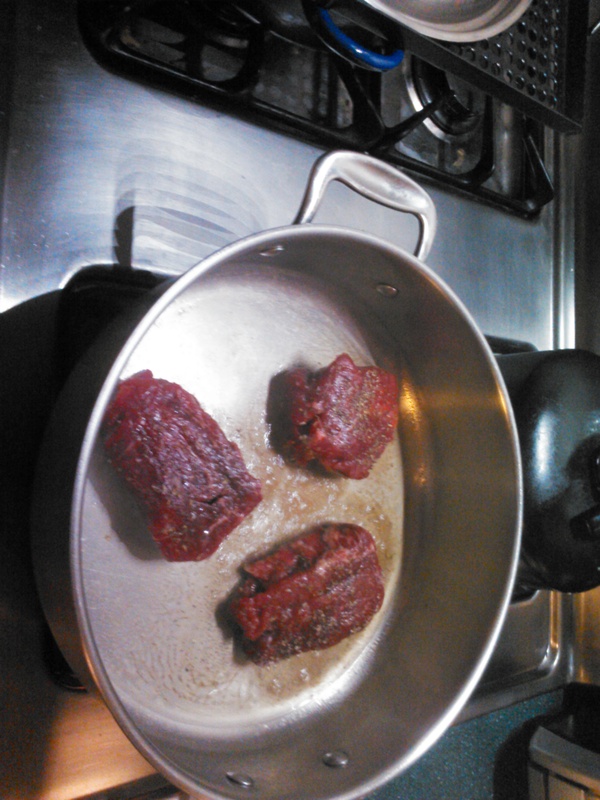 Step 7: final stuff – once the steaks are done, set them to the side to cool, and pour the remaining sauce over them. Cut the tomatoes, butter the rolls, and refill your scotch. Done and served. Bask in your amazingness!